Eat healthy with this collection of over 145 Low Fat Crock-Pot Recipes. Each recipe has under 15 grams of fat per serving! If you are looking for low fat recipe that you can make in your slow cooker you have come to the right place! Here you will find an extensive collection that is constantly updated with new recipes of yummy food you can make in your Crock-Pot that all contain under 15 grams of fat. From desserts to main dishes we have something for everyone! 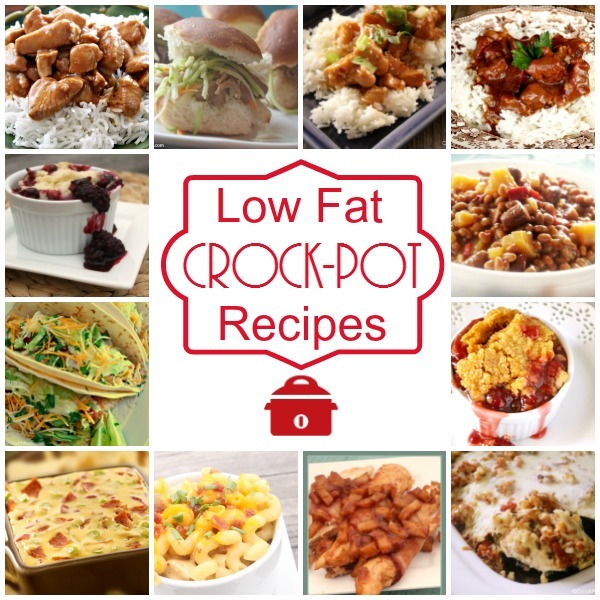 Be sure to bookmark this page because as we publish new low fat slow cooker recipes we will add them to this page so that this page becomes a great resource of go-to recipes for you!